Lunch Box – the gourmet way! Using Bonne Maman Conserves to spice up school lunches is an easy and healthy way to brighten a child’s – or adult’s – day! All natural Bonne Maman Conserves offer real fruit to bag lunches. Try flavours like Apricot or Blueberry Conserves. 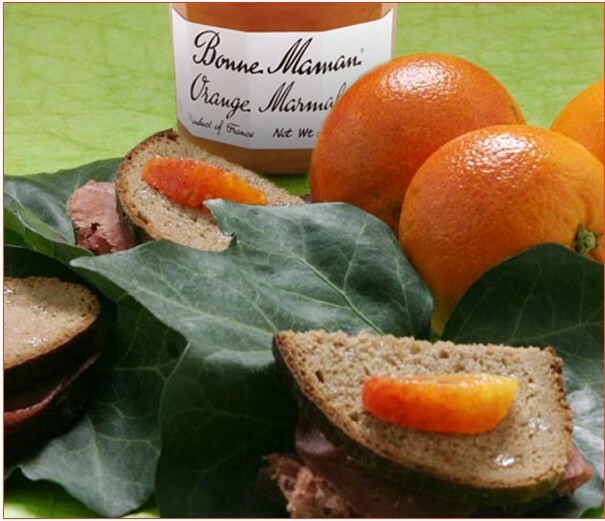 Of course, all four flavours of Bonne Maman Jellies are always fantastic with rye or multigrain bread. To make this classic school lunch sandwich an even healthier treat, try adding bananas inside the sandwich or packing it along with fresh fruits. Make Simple Sandwiches Come Alive with Bonne Maman ! Sandwiches are an everyday lunch item but that doesn’t mean they have to be boring. Hold the mayo and mustard – and reach for Bonne Maman to create simple, flavourful and unique sandwiches! Combining Conserves with cold cuts is a great way to explore the versatility of sweet and savory flavour combinations. Try making these sandwiches with fresh mixed greens, tomatoes, thinly sliced cold cuts and crusty French bread or focaccia. Add rocket salad to the mix to make this combination even more fragrant and fresh tasting. Try a creamy Brie cheese with this combination to create a luxurious texture that plays well off the Conserves’ tangy flavour. Add some Dijon mustard or bacon for added flavour. Can also be made with sliced chicken breasts.